DAVIDO IS MTV BASE’s ARTISTE OF THE MONTH! Music authority MTV Base (DStv Channel 322) has named superstar artiste and producer, Davido as the channel’s Artist of the Month for November. To shine a spotlight on this sensational Nigerian artist, MTV Base has put the music video for Davido’s Skelewu” on high rotation. The channel is also focusing its lens on Davido via a range of themed programming about the artist, to be broadcast across its pan-African TV footprint throughout the month of November. Davido-themed programmes include “Videography of Davido”, “The Truth: Davido”, “Davido: Top Ten Money Anthems”, “Davido: Mixtape”, “Davido: 54 Seconds” and “Davido Spotlight”. The Artist of the Month accolade is awarded to artists adjudged by MTV Base judges to be making waves on a continental scale. Davido follows South African artist Mafikozolo who was Artist of the Month for October 2013. 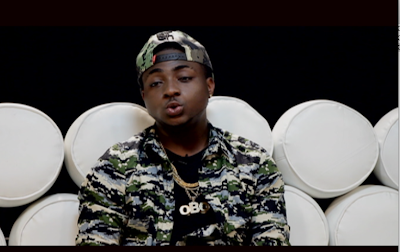 Davido themed programming will air every Thursday in November on MTV Base starting at 6PM on Thursday 7 November. Davidomusic videos “Skelewu” and “One of a Kind” are also being featured in the “Base Top 5” on Thursday 7 November at 7:00 am.